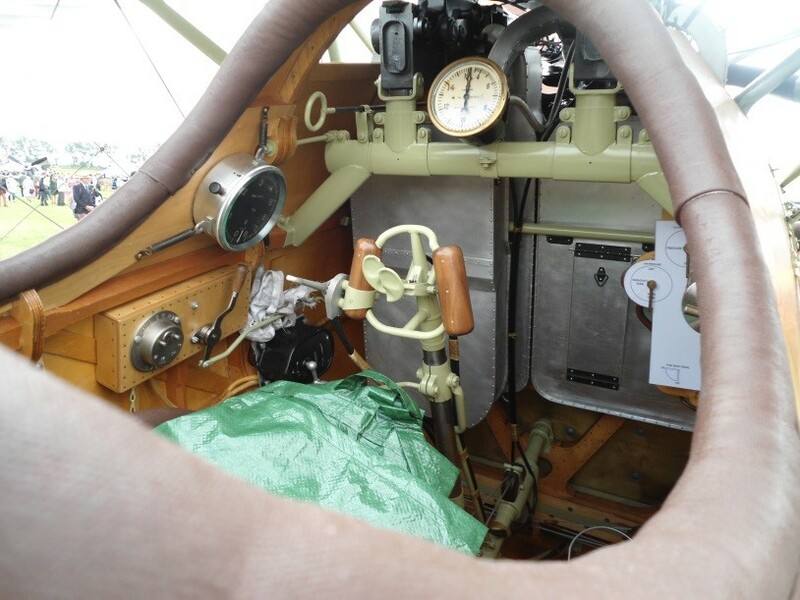 One of my favourites – an 1932 Alfa Tipo B.
gorgeous aircraft on static display and flying. 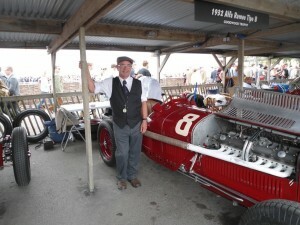 Almost everyone was playing their part in the themed event with lovely ladies and dapper gents in appropriate outfits and the odd cameo roles of various groups that percolate around the Goodwood Racetrack venue, like C.O’Medy – the road menders. In the past I have flown in, as a charter pilot delivering customers, but this year I arrived by car like most do and should have got there earlier to miss the queue! I was lucky to have a Paddock Pass – thanks to a close friend – which meant I could mingle with some really expensive motors! Ferrari’s, Bugatti’s, Maserati’s and even equally classic MG’s. Friday was practice day with racing on Saturday and Sunday. 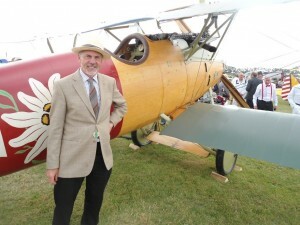 My old mate poses by the side of the Albatross with period straw hat! with volunteers manning the museum, café and restoration workshops. The cockpit has very little in the way of instrumentation compared to what a modern day pilot would expect! 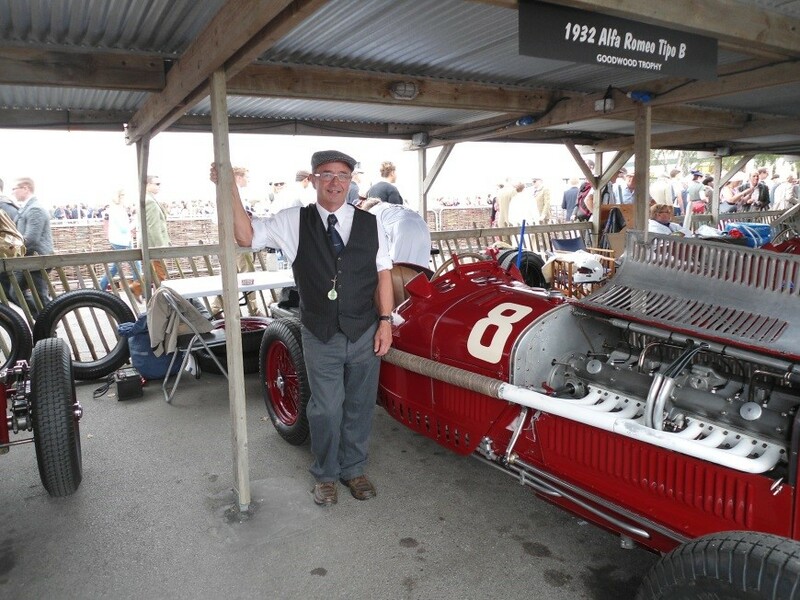 It was good of Goodwood to give me a mention over the loudspeaker system on Sunday – I should have taken some copies of Charlie Green and The Pirate’s Treasure along! They had a De Havilland Foxmoth there, which is bi-plane passenger aeroplane, but not a DH50 that is the magical type in my stories. 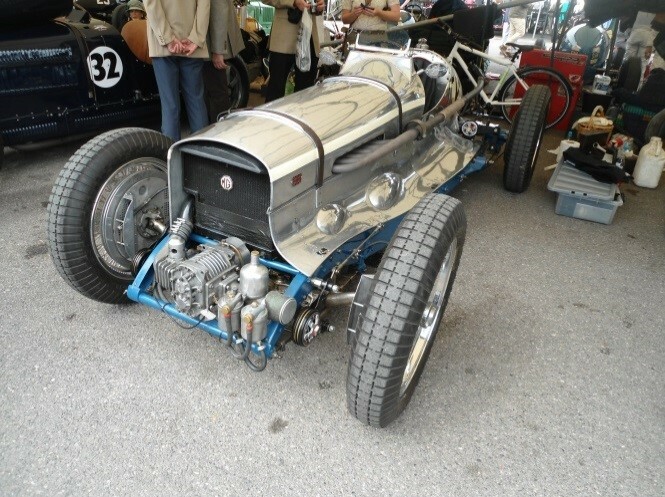 The Goodwood Revival certainly is a jewel in the crown of the classic motor racing circuit and makes a great fun day out. There were a few sights to inspire me with ideas for characters in my next book too. I also bumped into the artist Simon Canacott who has illustrated a copy of Charlie Green and The Pirate’s Treasure as he read it.